Observation - Spanish bug - Global. 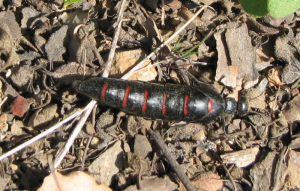 Description: Found a lot of these in one small area of hot sandy soil on a walking holiday in the Aracena mountains, Spain. Can anyone help? Found a lot of these in one small area of hot sandy soil on a walking holiday in the Aracena mountains, Spain.